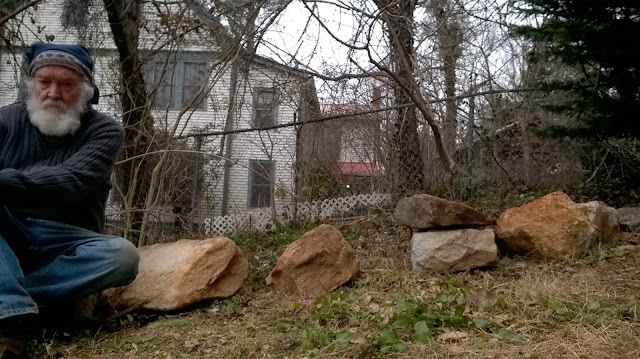 ...had to raise a mild lifting spell to get these stones up the hill to the garden. There is a word to happen it with, but I don't know how to spell it. I believe you could raise a megalith if you held your mouth just right. Those are some big ole rocks. I like the headgear, too. Good work. Josh, I think desperation figured in it somewhere. I can thank the Main Muse (aka Jane Ella Matthews) for the buff. The most versatile and packable cold-weather headgear I've ever had. It's been purposed as everything from watch cap to ski mask.